Easter is first approaching and there are so many ads about the easter bunny, decorating eggs and egg hunts. All of which are fun to do with kids! However, if you celebrate Resurrection Day on Easter there are few reminders in stores. From the cross to the grave and from the grave to the sky- like the popular song says. With toddlers and preschoolers, you only have their attention span for so long. So I wanted a simple craft that could tell the meaning of Easter in one picture. It would have to include the cross and the empty tomb. With the weather getting nicer everyday, we love being outside. So using natural materials found in the backyard was a perfect fit to do a craft outdoors. Plus you don’t need to spend any money to do this craft-an added bonus! 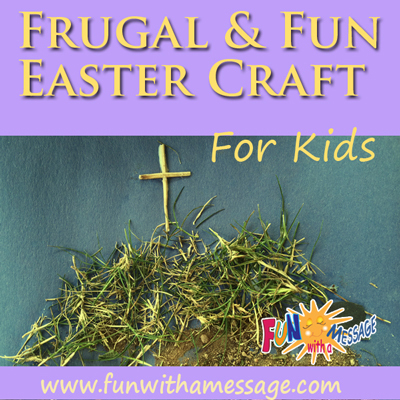 Apart from having some glue and cardstock on hand you don’t need any prep time at all for this frugal Easter Kids Craft! This frugal craft turned up to be fun and useful. My little one had a blast finding and gathering all the materials necessary. What kid doesn’t like playing with dirt? 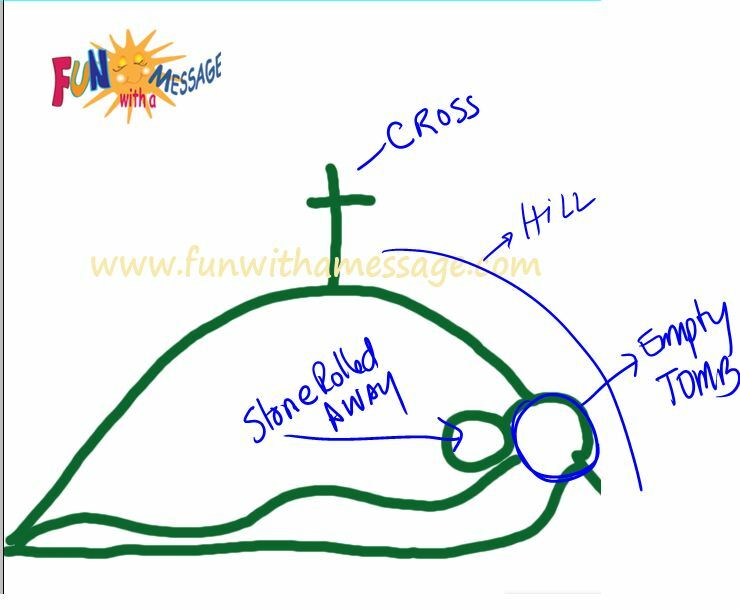 It’s been very useful at helping the kids retell the basics of the Easter story. No doubt that hands on activities help kids remember things so much easier than just reading about it. This uses different textures, like grass, sand, rocks, sticks. Draw the background with a pencil (mountain, cross, cave, etc.) so younger children know where to paste each material. Cover it in glue. Needs lots of glue to adhere the grass and sand. Glue all your materials: the grass, sand, and rounded black cardstock to the blue background. Then add the small stone to the side of the cave. This is the stone that was rolled away. If the weather is not cooperating or you don’t want messy hands I’ve created a free coloring sheet to retell the Resurrection story. Grab it here. Hope you enjoy a fun and meaningful Easter with your family! Sharing is caring! Share with a friend. 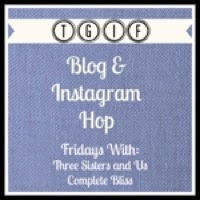 We’ve shared this post on some fun blogs. 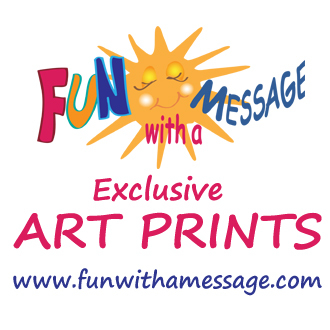 Check them out on our Fun With A Message Links & Shares page. 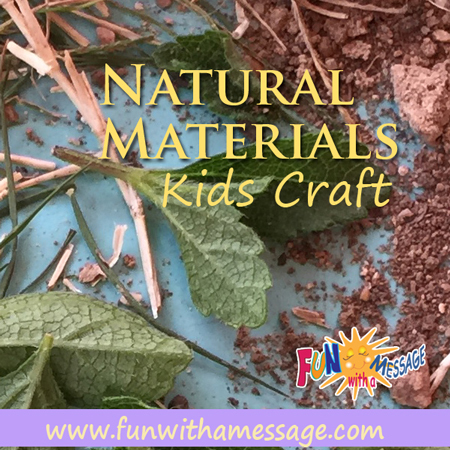 Great idea to use natural materials for craft! 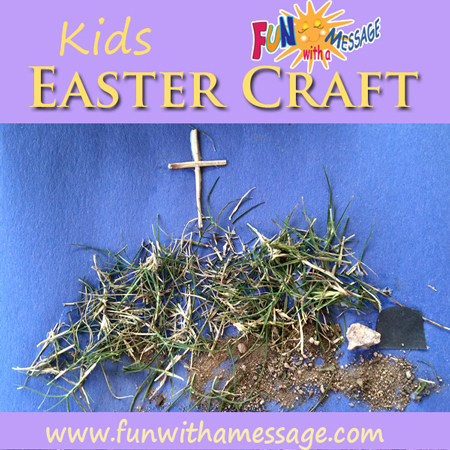 Thanks for creating this craft – it reminds us why we celebrate Easter! 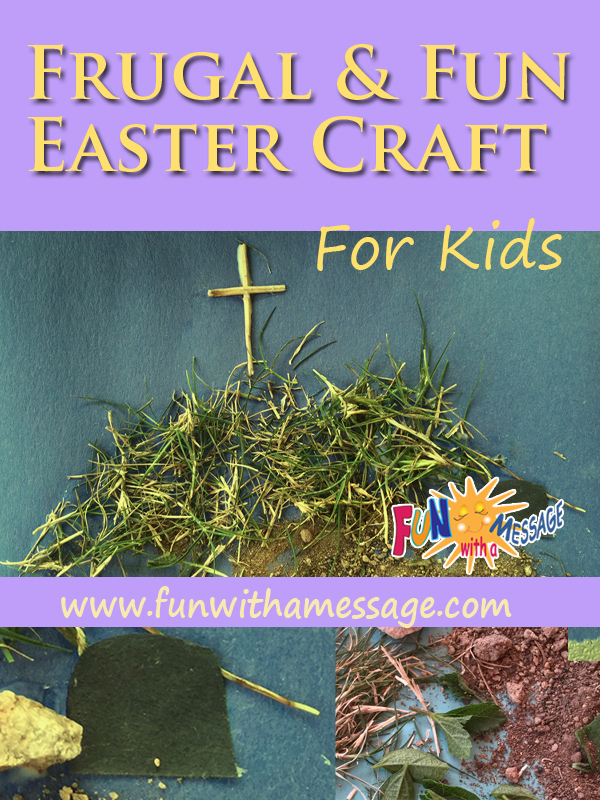 And thanks for sharing at the Easter Crafts and Games link up by Kidz Activities! We love nature crafts and these are fab ideas for Easter. These are great crafts! I like using nature in crafts. My kids do, too. I love how you used natural materials for the craft. Such a great sensory/tactile experience for kids!